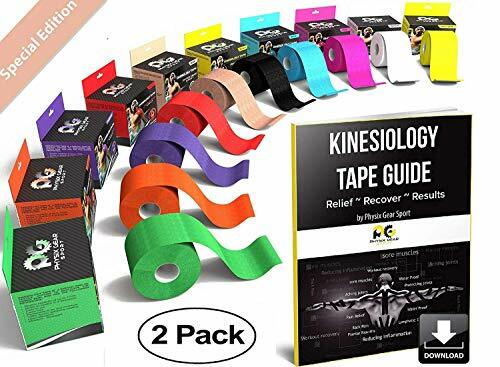 KT (Kinesiology Therapeutic) Tape is a strong, elastic athletic tape that reduces muscle pain, increases mobility and enhances athletic performance. KT Tape provides relief and support for muscles and joints and can be used to prevent or treat hundreds of sports injuries. Kinesiology tape, treatments and application techniques have been used by healthcare professionals such as orthopedics, chiropractors, physical therapists and athletic trainers for over thirty years. 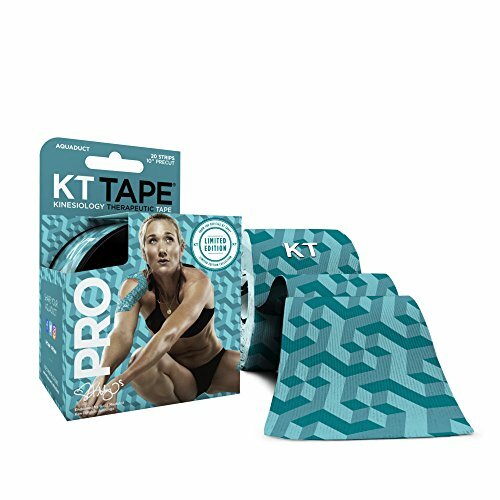 KT Tape is the first brand of kinesiology tape ever to be offered directly to consumers and is widely adopted by healthcare professionals and sports teams. FOR SERIOUS ATHLETES - Pro and Olympic athletes rely on KT Tape to get them through the most intense workouts and competitive events. It is lightweight, latex free, extremely comfortable, and allows full mobility of the muscles and joints while still providing support. STRONG ADHESIVE - Latest adhesive technology that sticks for days with effective skin preparation (see our site for tips). Made of breathable cotton fabric that you can wear in the shower without removing. Lasts 1-3 days. EASY TO USE - Classic uncut roll of convenient tape for kinesiology applications. Easy to self-apply using our free application videos (see our site) for dozens of common injury areas. Contact us with any questions or for usage tips. HOW IT WORKS - KT Tape helps reduce tissue pressure and provide muscle support, helping you recover faster from pain. Just ask one of our Pro or Olympic athletes who rely on KT Tape when pain is present and when championships are on the line. See our site for additional details. QUALITY GUARANTEE - Buy with confidence in our superior quality and impeccable customer service. Contact us directly if you have any issues, problems, or questions. We are here to help you overcome pain and obstacles and do everything we can to inspire you to reach your peak performance. YOUR SEARCH FOR THE PERFECT KINESIOLOGY TAPE IS FINALLY OVER! - Is your current Kinesiology Tape PEELING easily, with no real support? - Suffer from Back Pain, Sore Muscles, Hematoma, Plantar Fasciitis, Aches and Pains, and Aching Joints? - Want to reduce Lymphatic Oedema, Stimulate Hypotonic Muscles, Improve your proprioception System, and Increase overall health? INTRODUCING KINESIOLOGY SPORTS TAPE BY PHYSIX GEAR TO THE RESCUE! - PERFECT ADHESIVE FOR Fibromyalgia Relief, Shoulder, Knee, Back, Neck, Calf, Thigh, any skin surface! Bulk orders available! - Also for EQUINE THERAPY WHEN YOU PURCHASE TODAY, YOU GET THIS BONUS! WHILE OTHER KINESIOLOGY TAPES have "rolly" edges loose fabrics difficult to cut or simply stay on for only a few hours your New FDA CE approved Physix KTape Stays put even during that hot sweaty Yoga Classes. Apply it and forget it for several days providing you long product life the best value for money. Customers agree Physix Tape offers reliable fast Muscle Support Helping Ease your pain you'll even look good doing it with amazing colour options for each day of the week! GET BACK INTO THE GAME by easily reducing chronic muscular pain conditions in joints Achilles Tendon muscles and tendons. Physix tape will be there for you during chores or a 26 mile Marathon. Avoid the frustration of cheaper tapes peeling-off. When applied using your FREE 82 page illustrated eGuide Physix Tape stay's in place no matter what even if you're soaking wet with sweat or after your post workout shower! Maintain PEACE OF MIND and safety as your Ktape works for you around the clock. SAVE TIME AND EFFORT by avoiding residue or annoying Stickiness once removed. Feel confident at home work or gym and push yourself that extra mile by keeping your knee secure and supported. Get moving again with Reduced Back Pain & Gain Instant Joy as your Physix Tape helps reduce Plantar Fasciitis & chronic muscular pain. Feel new Hope as the new Synthetic 4 way stretch fibers reduces painful Joints and Gain satisfaction as your Physix Tape Facilitates stronger firing of muscles and tendons. TIPS TO AVOID SKIN IRRITATION - usually the result of trapped moisture or high levels of compression of the skin (Do not use if on blood thinners). Prevent these rare symptoms by avoiding extreme stretching of the tape over the skin. It is recommended your tape be applied at least 30 min prior to activity. Ensure Skin has no oil, sweat, or lotion prior to application & remove with warm soapy water. Physix Gear ensures our tape maintains 100% safety accreditation & Support is available 24/7/365. GET READY. TO BECOME A RAVING FAN! - We cut no corner in our product and will cut no corners in our support of you! You are making a very intelligent decision doing business with our company. We know you're a big deal and we'll only provide you with the finest product and service around or your MONEY BACK! Add your Physix Tape to your Cart and experience the Physix Gear Sport customer experience phenomenon! Add to cart now to begin the amazing journey! 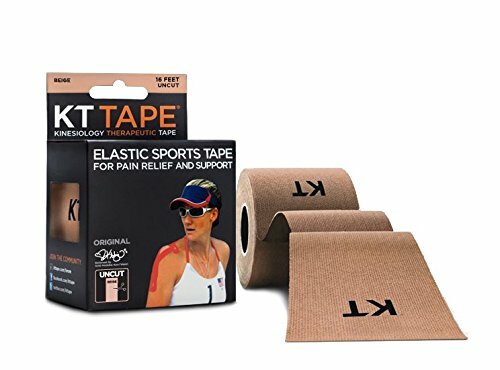 Meet KT Tape's strongest and most versatile tape yet! 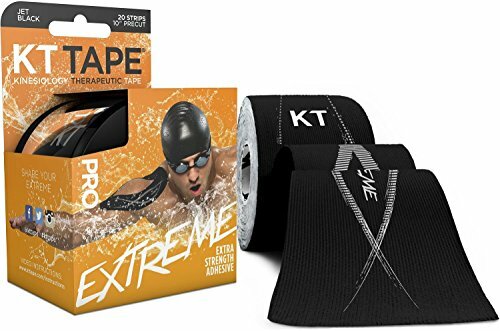 KT Tape Pro Extreme is specially engineered with an extra strength adhesive that can last up to 7 days through everything from cycling to swimming. Made from 100% synthetic microfiber for maximum durablility, stretch, and retraction for optimum performance and recovery. The adhesive is specially designed meet the needs of endurance athletes like runners, swimmers, and cyclists. Each roll comes with 20 precut 10-inch strips so you can tear and apply the tape without the hassle of cutting each strip. Pro Extreme Kinesiology Tape supports movement by creating neuromuscular feedback and facilitates stronger firing of muscles and tendons by aiding retraction. Its versatility makes it great for increasing athletic performance, treating a variety of conditions, and aiding in recovery from injuries or surgeries. It's precut to the most commonly used length for both athletic and clinical application styles, 10 inches. Whether you're gearing up for your next CrossFit or power lifting competition, preparing for a trail marathon, or running your first 5k - you want to know that the tape you're using can handle anything you can throw at it, while offering performance and support you can trust. Our premium, medical grade kinesio tape is latex free, and used by physical therapists in the USA and around the world. Waterproof and hypoallergenic, our tape will stay on knees, elbows, and feet through the toughest workouts for days at a time, without irritating sensitive skin. Designed for use by professional athletes, as well as for home first aid, this synthetic kinesio tape is perfect for muscle injuries and recovery. Easy to use and comfortable to wear, the supportive tape helps treat and prevent common sports related injuries and pain by offering support wherever it is needed on the body - including the Achilles heel, ankle, shin, patella, shoulder, thigh, elbow, knee, foot, and more. We designed this tape to be help you go for the gold, whether you're an Olympic pro, coaching a team, or working in pediatrics, physical therapy, or health care. Not just for athletes, this tape is also great for sore backs, plantar fasciitis, cellulite, and more. We're confident you'll find this among your best supplies, whether you're treating tendonitis, supporting splints, providing manual support, or simply seeking to relieve discomfort in pregnancy. Whatever your goals and method, this adhesive is made for strength and comfort. 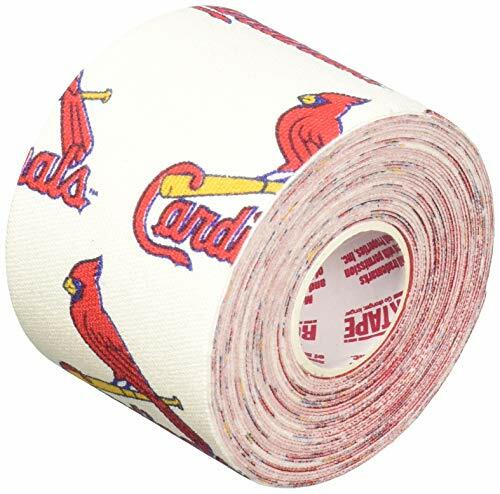 Available in bulk, each uncut roll is 2" wide by 16' long and comes as a two pack. Strips can be cut as long or short as needed and easily applied. Try it out, and if you aren't completely satisfied, we offer a 60 day money back guarantee. TRUSTED CHOICE FOR PHYSICAL THERAPISTS - Used by physical therapists and sports medicine practitioners around the world. STAYS ON FOR DAYS - Elastic and resistant to sweat and water, this kinesio tape stays put, no matter what. EASY TO USE - Quickly and effortlessly place the tape where you need it with no mess or adhesive residue left after removal. HYPOALLERGENIC & LATEX FREE - Made in a medical grade facility, this adhesive tape is safe to use on sensitive skin for therapeutic and medical applications. 60-DAY MONEY-BACK GUARANTEE - We fully stand behind this product, so if you're dissatisfied, we'll give you a full refund - no questions asked. 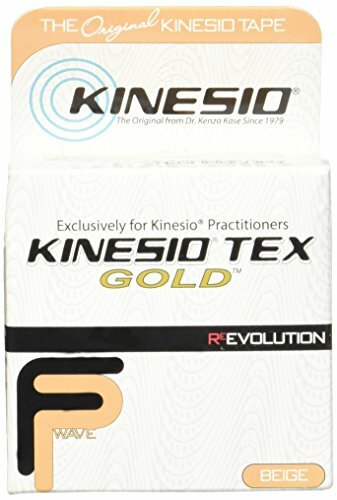 Kinesio tex tape gold is an amazing elastic therapeutic tape that was developed by dr. Kenzo kase over 35 years ago in japan. 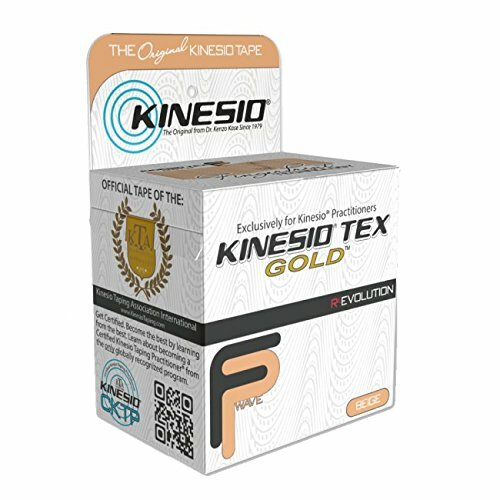 Since then, kinesio tex tape gold has become the standard for therapeutic and rehabilitative taping. Kinesio tex tape has been seen in use during numerous olympic games, most recently the 2008 games in Beijing and the 2012 games in London. It has also been used during many other collegiate and professional sporting events worldwide. Kinesio tape and the kinesio taping method is designed to facilitate the body's natural healing process and provide extended soft tissue manipulation to prolong the benefits of manual therapy administered within the clinical setting. Kinesio tex tape is very skin friendly and is safe for populations ranging from pediatric to geriatric. 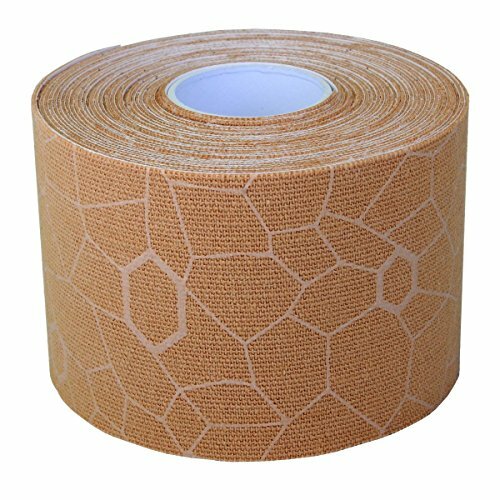 Kinesio tex tape gold is made of 100% high grade cotton fabric with a heat activated, medical grade adhesive. All kinesio tex tape is water resistant and 100% latex-free. Its unique, air permeable design channels away moisture and allows the skin to breathe making it very comfortable to wear. Most applications can be worn for several days. Kinesio tex tape is used to reduce pain and inflammation, relax tired or overused muscles and support muscles and joints in movement on a 24-hour-a-day basis. Unlike restrictive types of tape, kinesio tex tape allows for full range of motion to promote the body's natural healing process. Kinesio tex gold individual rolls are 2 inch wide and 16.4 feet long. Udaily kinesiology sports tape is a revolutionary new way to treat common injuries, can offer muscle support joints, tendon related aches, pains and relax muscles, increase the range of motion of the joints and promote blood circulation, and most importantly, relieve pain. Common injuries including ankle sprains, runners knee, lower back pain, hamstring strains, carpal tunnel, wrist pain, neck strains, calf strains, shoulder pain. 2) Easy to Apply. No need to cut the tape edges and avoid frays. 3) Strong Adhesion and Breathable, comfortable to use and wear up to 3-5 days. 4) Water-resistant, designed to withstand humidity, sweat, tears, and even in shower. 5) Pain relief and support. Udaily elastic athletic tape helps you reduce pain and boost your performance. 2) 3 Rolls 2 in x 16.5 ft.
We take responsibilities for orders from Udaily. Don't hesitate to contact us if there are any problems and we'd be glad to assist. Email us at udaily_amazon@yahoo.com. BOOST YOUR PERFORMANCE- Pain relief and provides muscle support. 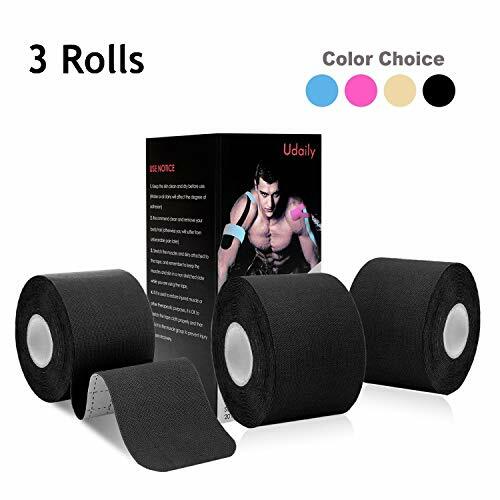 Udaily kinesiotape tape is made from latex free 95% cotton 5% nylon, extremely comfortable, and based on athletic tape standard to help you get through the most competitive events, intense workouts and also prevent common injuries. EASY TO APPLY (3 ROLLS)- 20 pre-cut 10 inch strips and made rounded edges make it easier to apply, unlike most other long uncut rolls, no need to cut the tape edge yourself and avoid frays. See instructions within the package for different applications. BREATHABLE AND WATER-RESISTANT, light weight porous fabric makes skin breathe better beneath the tape, so as to recover faster and protect joints. This kinesiology sports tape can stay in place even when you are wet with sweat after workout. STRONG ADHESIVE- Sticky tape can wear up to 5 days and last longer if it's correctly applied. A practical choice to take and use anywhere. 100% SATISFACTION-24 Month Warranty.The most worth ordering tape and FDA certified, any quality issues contact us to get a replacement or refund. EASY TO USE: Every roll of RockTape includes a detailed instruction sheet, along with quick links to over 100+ videos on RockTape's YouTube Channel. STRONG ADHESIVE AND BIG STRECTH: RockTape's secret is in our high-grade adhesives and unique fabrics. Unlike other kinesiology tapes, RockTape is designed to stay on longer, move and flex with your skin, and repel moisture. THE WORLDS BEST TAPE: RockTape is the world's best kinesiology tape, helps treat sports/ non-sports injuries: Ankle Sprain, Groin Pull, Hamstring Strain, Knee & Back Pain, Shin Splints, Plantar Fasciitis, Runner's Knee, Various Muscle & Joint pain. Brand: KT Tape | Manufacturer: Lumos, Inc.
You ve probably seen kinesiology tape, even if you didn t know what it was. Often colored, strips of kinesiology tape are visible on swimmers, volleyball players, runners, basketball players, football players, soccer players, and others. Kinesiology tape is worn by athletes at all levels including the Olympics, the NFL, the NBA, the NCAA, and high school. In addition to its wide use in elite sports, kinesiology tape is also effective for everyday activities and can help people work, play, and reduce pain. Common application areas are neck, shoulder, lower back, knee, ankle, and foot. Research has proven kinesiology tape to be effective at reducing pain and supporting painful muscles and joints during activity. The most important difference between kinesiology tape and standard athletic tape is flexibility. Kinesiology tape provides support and pain relief to body parts without immobilizing them or limiting their range of motion. In fact, by providing pain relief and support, it may help you move better. New TheraBand Kinesiology Tape has two critical advantages over other kinesiology tapes. Because the application of kinesiology tape requires a measured amount of stretch, the exclusive TheraBand XactStretch visual elongations indicators are a breakthrough in ease of use and proper application. Every professional application indicates the prescribed amount of stretch but only TheraBand Kinesiology Tape provides an indicator of the stretch being applied. The 25% and 50% stretch indicators in TheraBand Kinesiology Tape allow you to easily apply the proper amount of tension to your tape application for the desired effect, whether that s to reduce pain or support your muscles and joints. This allows experts and beginners to apply with confidence the first time, eliminating waste and hassle from improper application. 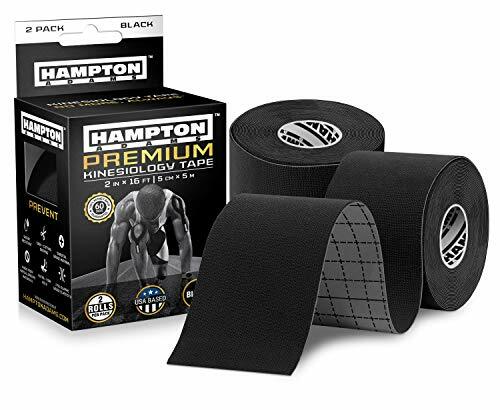 It also features best in class adhesion from Cramer Products, a company with a 95 year legacy in sports medicine leadership and market leader in tape. Tape that doesn t stay stuck doesn t deliver pain relief and support. Adhesive that sticks every time is critical for high performance athletes and others who play the sport of life. TheraBand Kinesiology Tape may be worn for up to five days. "SB SOX offer the most complete package..."
"...great quality products, low price, free e-book, 100% money back guarantee, and a very strong social media presence..."
"...unmatched value provided to the consumer with each purchase..."
YOUR SEARCH FOR THE BEST, MOST COMPLETE COMPRESSION PRODUCTS BRAND IS FINALLY OVER! SB SOX kinesiology tape uses premium compression material that works perfectly together to stimulate blood flow, improving oxygen delivery to your body. Improved Blood Circulation, Recovery, and Performance. Stimulates blood flow and improves oxygen delivery to your muscles. Reduced Injury, Swelling, and Fatigue. Helps reduce injury and swelling - muscle pain, lactic acid production, and other muscle related issues. Superior Construction and Comfort. Premium material provides the ideal fit with breathable material. Provides for full range of motion and joint flexibility. Keeps your body dry and minimizes blisters. All these benefits...backed by our 100% money back guarantee! FINALLY - KINESIOLOGY TAPE THAT ACTUALLY WORKS - Tired of wasting money on overpriced kinesiology tape that irritates your skin and does not stay on? We are too - which is why we designed our best-valued kinesiology tape with a skin-friendly adhesive that stays on, smoothly/comfortably adjusts to your body, and provides the compression support that you need! Also, our kinesiology tape comes with a PDF guide for tips on reducing skin irritation if you have sensitive skin! PREMIUM DESIGN FEATURES - If you LOVE our other products, you will LOVE our kinesiology tape! Designed with lightweight, breathable, and moisture-wicking fabric, our kinesiology tape is the perfect solution for alleviating pain and soreness during year-round physical activity. Our premium fabric also does not irritate skin and does not cause itching! Also, our kinesiology tape comes with a comprehensive guide that lets you maximize the use of the tape! IMPROVED BLOOD CIRCULATION WITH COMPRESSION SUPPORT - Our compression technology provides the ideal compression to provide the maximum boost to your blood circulation. Better oxygen circulation provided by our kinesiology tape helps reduce lactic acid build up and aids pain relief. Why let yourself suffer any longer? Let our kinesiology tape help you promote recovery, reduce injury, and feel great again! Be sure to check out our kinesiology taping guide - it will help you use the tape! #1 RECOMMENDED DESIGN: PREMIUM CONSTRUCTION AND COMFORT - Our kinesiology tape is recommended by physical therapists, chiropractors, and athletic trainers. We carefully designed and manufactured our kinesiology tape to provide premium support, comfort, and relief without compromising your mobility. Form fitting, lightweight, and breathable fabric features maintain joint stability regardless of activity. GREAT INVESTMENT FOR YOUR MUSCLES/BODY (GREAT GIFT IDEA TOO!) - We spend so much time doing physical activity yet tend to neglect our muscle health. Why settle for anything less than fast relief at a great value? And while you are at it, grab a few tapes for your family, friends, or loved ones as a gift that is functional and beneficial to their health! Also, a great gift to runners, athletes, fitness workouts, golfing, tennis, cycling, office workers, or anyone in need of pain relief! 24-4871 Color: Blue Features: -Tex gold FP tape core properties remain for all Kinesio Taping specifications. -Brings nano-touch stimulation to epidermis and layers beneath. -Mimics gentle human touch yet provides a more effective hold. -Higher grade cotton with more breathability. -New protected weave process for improved comfort. Product Type: -Kinesiology Tape. Dimensions: -Hypoallergenic and latex free for all patient populations. Overall Height - Top to Bottom: -8". Overall Width - Side to Side: -6". Overall Depth - Front to Back: -5". Overall Product Weight: -1 lbs. -1 roll of tape: 2" x 5.5 yds. FOR SERIOUS ATHLETES - Pro and Olympic athletes rely on KT Tape to get through intense workouts and competitive events. It's lightweight, latex free, extremely comfortable, and allows full mobility of the muscles and joints while still providing support. 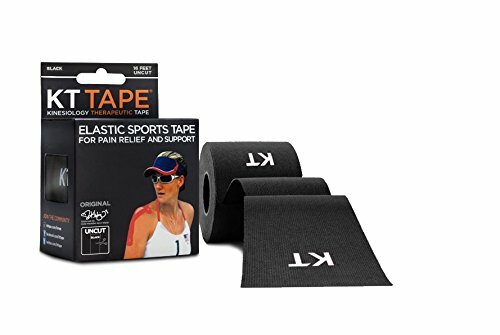 KT TAPE PRO X is a kinesiology patch specially designed to provide targeted relief for muscle pain, overuse injuries, and tendon-related pain and injuries. 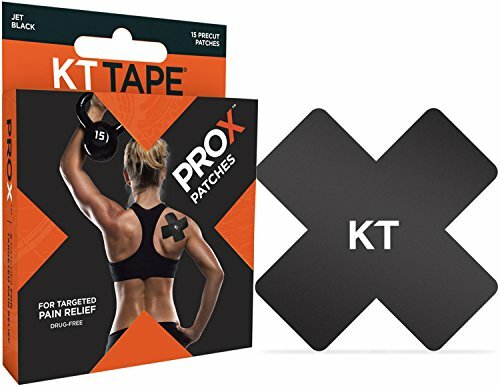 KT TAPE PRO X patches were developed for the on-the-go, active consumer who appreciates a healthy lifestyle and doesn't want to be slowed down by pain or complex taping applications. KT TAPE PRO X will stay in place through multiple demanding workouts for up to 3-5 days. Each box comes with 15 precut X patches. One hard plastic carrying case will help keep your patches in good shape in your gym bag or purse. One Quick Start Guide with step-by-step instructions on the most common injuries is included as well. KT TAPE PRO X patches are ready to apply right out of the box. PRO X patches have rounded corners which help to prevent the corners from snagging on things or the edges fraying. Each case contains 15 precut patches. See KT Tape's Instructional Videos to follow step-by-step instructions on applying to various areas. 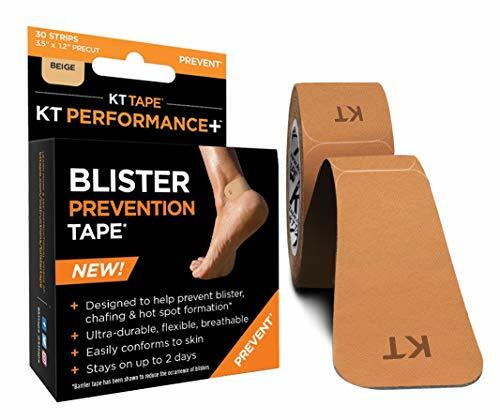 KT performance+ blister prevention tape from KT TAPE is the ultimate in athlete blister prevention care. These premium synthetic non-woven fabric strips are designed to help prevent athlete-related abrasion injuries, such as blisters, chaffing, and hot spots, during the rigors of athletic training and competition. Blister prevention tape has strong adhesive to help it stay in place and conform easily to the skin to allow full mobility while staying active. Barrier tape has been proven to reduce the occurrence of blisters.